An interesting job that came in recently was this Seiko Alpinist from July 1964. 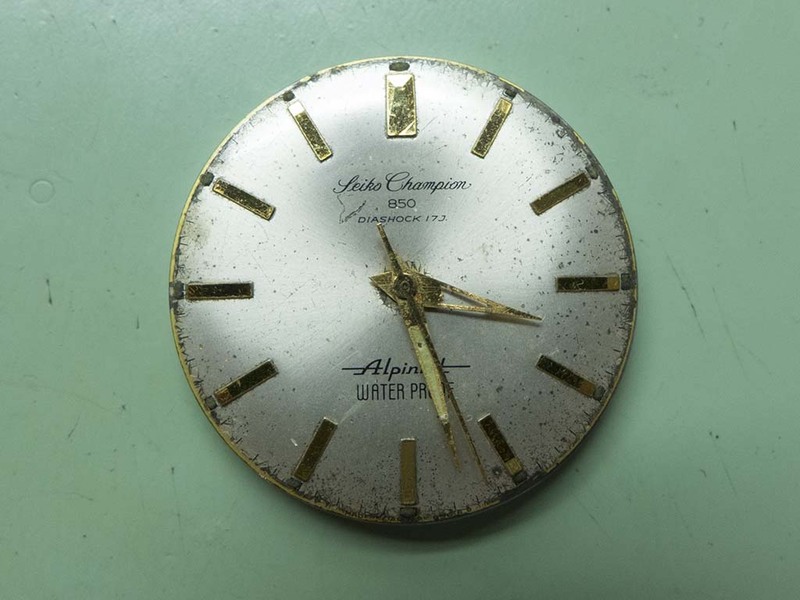 The Alpinist models were a Japanese domestic market range of watches which were introduced in 1961 and ran to 1964. The line was inspired by the Japanese concept of Yamaotoko, this term roughly translates as ‘Mountain man’, and describes the Japanese tradition of amateur mountaineering whereby people climbed Japan’s mountains during weekends and holidays. This example is powered by Seikos calibre 851, a 17 jewel, 18,000bph manual wind movement. It arrived needing an overhaul but interestingly the owner had a NOS case, dial and handset for it. This Seiko Sports 7546-6040 recently came in for some refurbishment, it belonged to the current owners father and hadn’t run for many years. The Sports range of Seikos look like dive watches but are only resistant to 100m and carry a different logo on the caseback, a more stylised wave than the tsunami of the divers watches. This example was in need of a bit of TLC, the crystal needed replacing as well as getting it going again and servicing the movement. 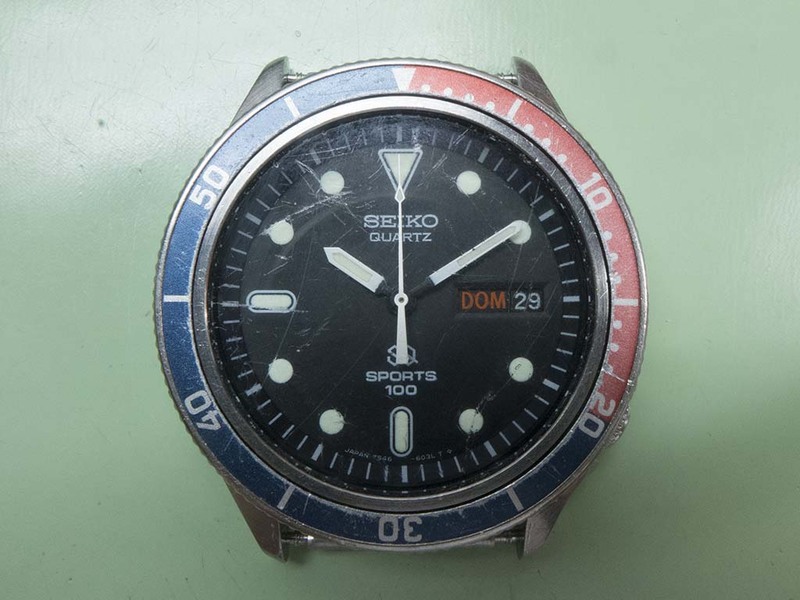 The Seiko 5126-6010 is an unusual watch for a number of reasons. To begin with it’s a Japanese domestic market model which means exactly what it says, it was designed and produced for the Japanese domestic market! 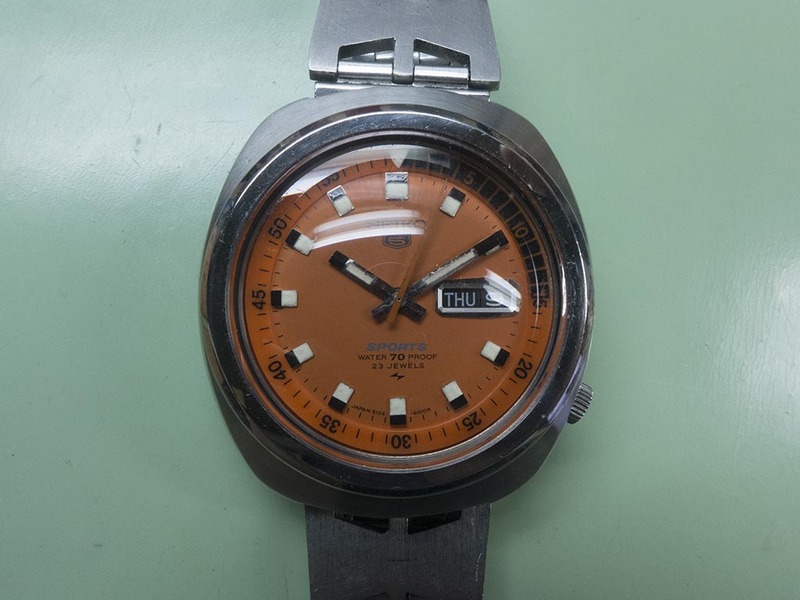 Seiko had some much funkier designs for their home market than they did for the rest of the world and this model featured is no exception with its cushion case, orange dial and inner rotating ring. The orange versions of these models remind me of Doxas Sharkhunter, probably no coincidence considering the original orange dialed Sharkhunter was introduced in the 1960’s and Seikos 5126-6010’s date from the late 1960’s. Another unusual feature of this watch is the calibre 5126 movement. It’s an automatic winding, 23 jewel, 19,800bph movement with a day date complication. These weren’t produced for very long and consequently you don’t see them very often these days. The movement architecture is quite a departure from what Seiko was utilising in their other calibres, notably there’s no pawl and transmission wheel autowind components, and the keyless work looks quite different too. This calibre has more in common with the Swiss method of using reverser wheels to convert the rotors movement into winding the mainspring. 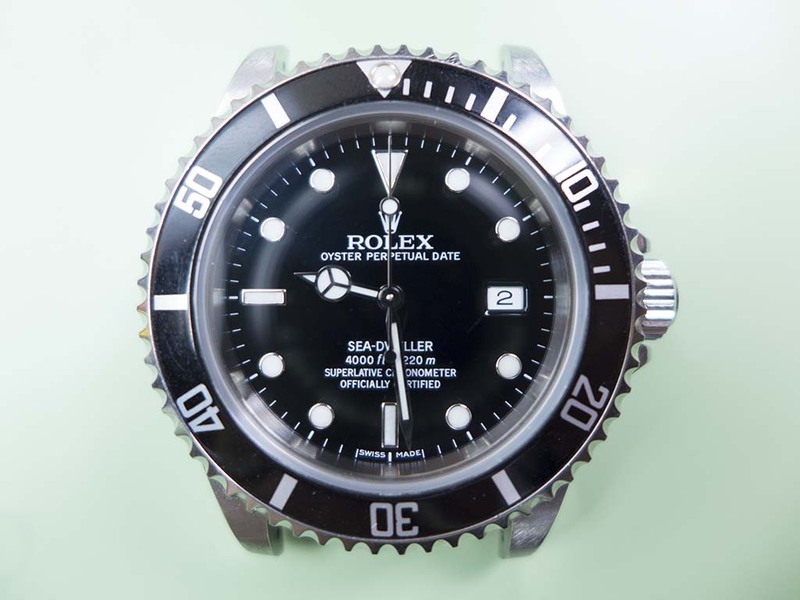 As you can see from the picture below this model was part of their “Sports” range, watches that were part of that range had their water resistance upped to 70m depth. Interestingly this model was also given the “5” designation. “Seiko 5” has these days become a symbol of their lower range value for money watches but when the “5” designation was introduced in the 1960’s it was a symbol of Seikos rugged, dependable and unique watches which was meant to represent 5 different selling points, automatic winding, day and date displayed in a single window, water resistance, a recessed crown at the 4 o’clock position and a durable case and bracelet. It’s nice to see that this example still has it’s original signed “Razor” bracelet that’s sized for a European wrist.